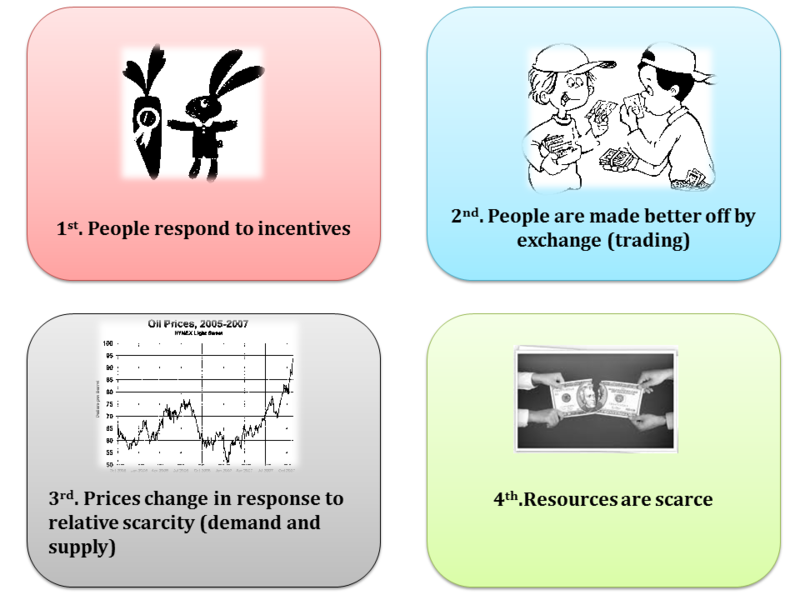 All economic behaviours can be grouped under one or more of these principles. In the case of the Caribbean Single Market and Economy (CSME), it could be viewed that opening one’s borders to free movement of people, goods and services should make everyone benefit. Since such a measure should increase competition, productivity and efficiency among firms selling in a larger market. Caribbean consumers should also benefit, since they would take advantage of high quality goods and services produced by these competitive firms at competitive prices; labour prices or wages should fall in response to the increase in labour supply as a result of free movement of skilled labour (demand and supply); These seem to be plausible theoretical implications of a model of integration, such as the CSME. The reality however, is that models are usually formulated under the assumptions that some factor (s) are held constant and these assumptions are necessary to make meaningful analysis from them. One of the main objectives of the CSME is to have free movement of people, goods and services between member countries (Hall, 2007). The incentives to be derived from removing barriers to trade and movement of skilled labourers, is suppose to far outweigh the negative implications expected from displacements of workers and domestic producers. The dilemma is that member countries are all at different stages of development, with varying domestic markets at different levels of complexity. Majority of the countries that make up the CSME will not be able to exploit the theoretical ‘benefits’ that should arise from free movement of people, goods, and services. This is due primarily to the inequity between countries that make up the group. It is clear that the playing field as far as the CSME is concern is not level. Countries like Trinidad and Barbados are better positioned to maximize their economic growth versus other countries that make up the group. Owen Arthur noted in February 2010, that “Barbadian service providers were the ones taking advantage of the CSME amounting to about BDS $ 500 Million in business for its distributive sector.” He stated that the Caribbean External Tariff (CET) on goods coming from the rest of the world was extremely beneficial for the country. Trinidad’s absolute advantage in the production of oil stands as a main disincentive to other CSME countries, as Trinidad’s subsidized manufacturers can produce cheaper more competitive goods versus the other non-oil producing members. For example: “One of the most contentious issues is Jamaica’s ballooning trade deficit with CARICOM which amounted to US $1.6 billion in 2008. The major part of the deficit is owed to Trinidad and Tobago due to the alleged discriminatory pricing of energy supplied exclusively to its nationals. With highly competitive prices Trinidadian exports enter the Jamaican market duty-free, making it very difficult for Jamaican manufacturers to compete without a similar cost advantage” (Gomes, February 25, 2010). Economically, the CSME needs to level the playing field for all member countries, that is, countries which enjoy absolute advantages in certain products and services will have to be regulated as to not displace other member countries’ firms and labourers. A regulatory body needs to be created with the sole purpose to scrutinize the relative economies of the different member states and make recommendations. This regulatory body will opt to bring some sense of equity to the integration process, where each and every member will benefit sufficiently from integration. Another recommendation would be for countries like Trinidad to subsidized oil to all member state producers who use oil as a raw material in their production process. This would remove the comparative advantage Trinidadian producers hold over other member state. This would significantly level the playing field and could provide the added impetus necessary to drive the economic integration ideology in the right direction.What’s your view?